Would I lie to you? And yes, I am very, very, old. Did you try the hard boiled eggs in the beet juice? Put the hard boiled eggs in a mason jar with the left over pickling juice and let them soak for a day or two. Very tasty and pretty. They will keep for a long time. Were you careful or are your hands purple? From 31 looking forward, you’re not that old! Oh! I made that same beet pasta just a few weeks ago and posted about it on my blog! I, too, was introduced to beets at a young age. Repulsed as I was by them back then, I have certainly grown to love them (roasted, pickled, pureed and even fresh). Isn’t it funny how tastes change as we age? What recipe did you use? 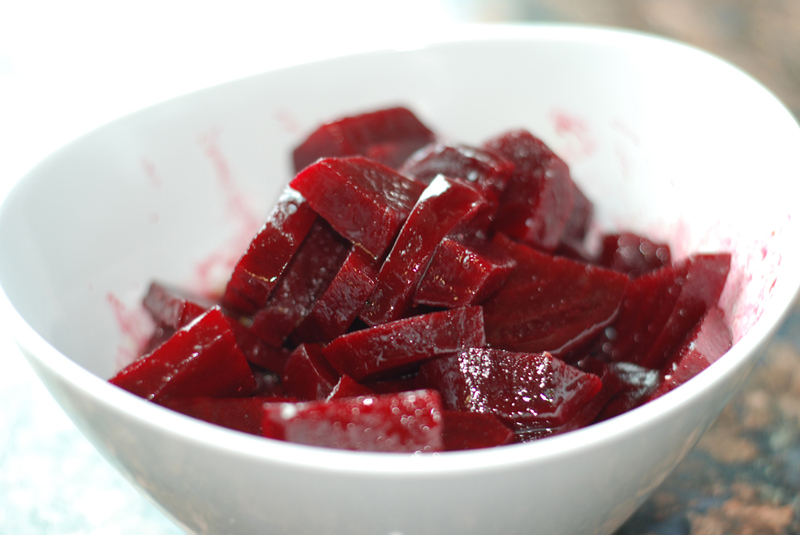 Mine was very plain–water, flour, beets.